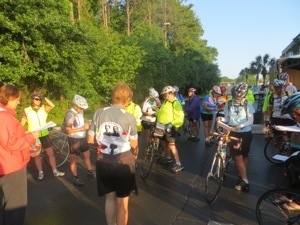 We started the morning with map meeting in the parking lot, as last night was dinner out. 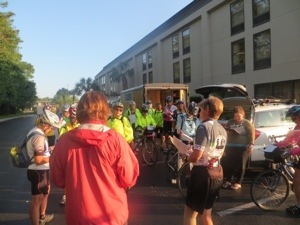 Only 6 miles into the ride this morning, I hit 3,000 miles on this great adventure. 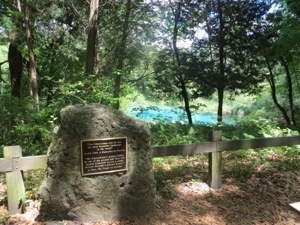 It happened to be right at the sign showing our destination for the day. 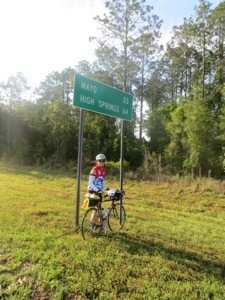 The first 20 miles along US 27 reminded us of yesterday, lots of trees and swampy areas. I did like the morning shadows following Donna. 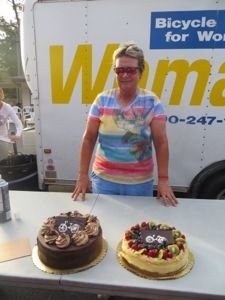 Carol was able to ride today and seemed to enjoy her time on the bike. 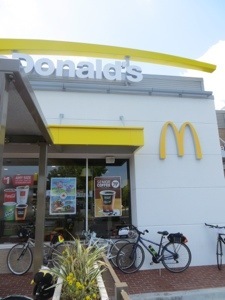 We stopped in the town of Mayo for coffee. 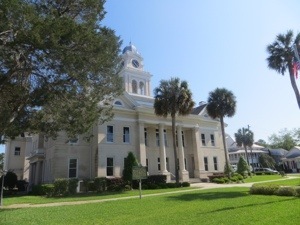 The Lafayette County Courthouse was just across the street. 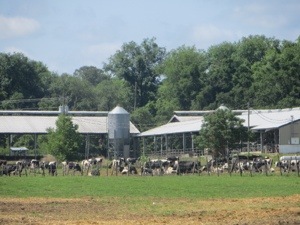 The scenery became much more interesting, with farms and cattle along the road. 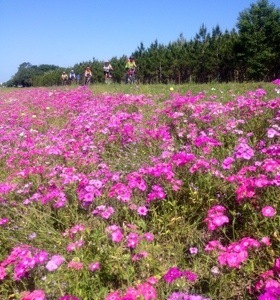 Susan took this photo of some of our cyclists passing the beautiful pink flowers. 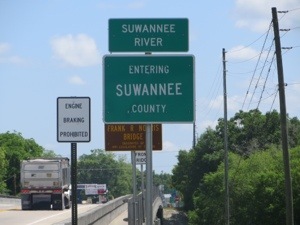 It was lunch time when we crossed the Suwanee River into Branford, so we looked for a place to stop for lunch..
For 7 miles we rode a bike path paralleling US 27, possibly a section of the Suwanee River Greenway. 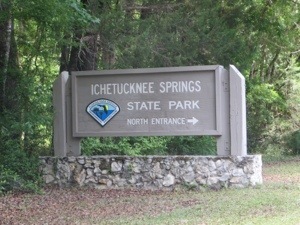 The route then diverted us to Ichetucknee Springs State Park. 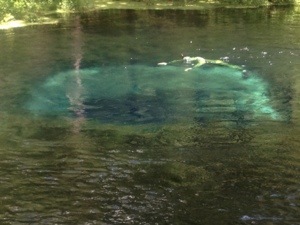 We left our bikes and walked to the Blue Hole Spring, where we found snorkelers exploring. 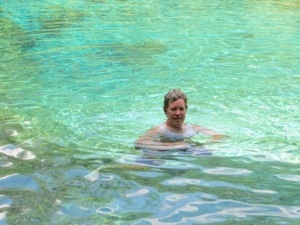 I also wandered to the Ichetucknee Spring and decided to take a quick dip – delightfully refreshing. 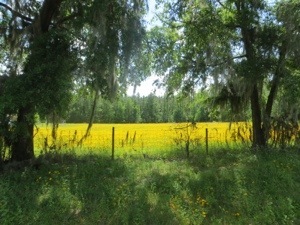 Back on the bike, just after we left the park, we saw this beautiful field of flowers. 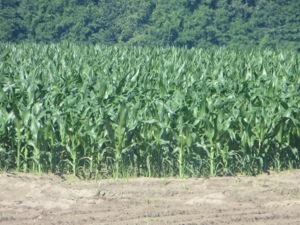 It was still almost 20 miles to our hotel, but we pedaled on, passing corn fields, certainly higher than back in Indiana. 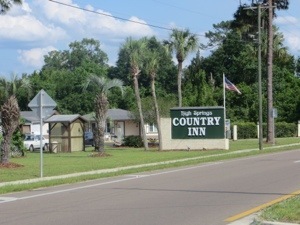 Part of our group is at the High Springs Country Inn; we are across the street at the Cadillac Motel. Today was Wendy’s birthday. 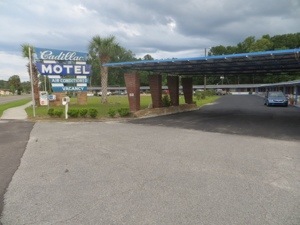 And Keith had caught up with is at the Park and is also staying at the Cadillac Motel, so I invited him to dinner. 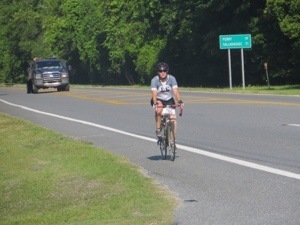 78 miles today; average 11.9 mph. 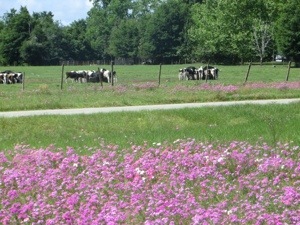 Thank you for sharing your “Travels with Dolly” stories and photos. 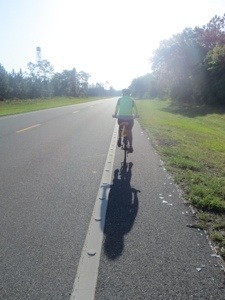 It’s been great to “ride” along with you! Congratulations on an amazing accomplishment! We still can’t believe that you are 65! I see now why we can’t tell. We’re anxious to see you back at church! Dolly, I have enjoyed reading your posts to Stephen. 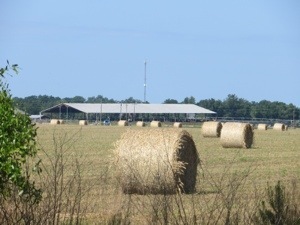 I love all your photos, and the fact that you are stopping to see the country not just riding it. 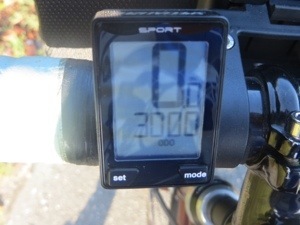 Congratulations on passing the 3000 mile mark! 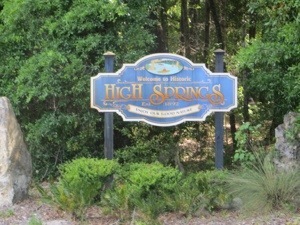 You ARE getting close! 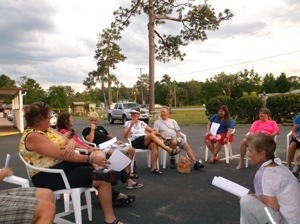 Are you planning a sort of a “CIBA debriefing” after you get back? We’d love to hear it. 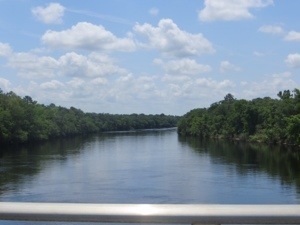 Have you seen/swam with any Manateees on this part of your trip? They seem to be fairly common in central/northern FL. I actually wrote this blog last year, using basic wordpress. Really am not very conversant with blogs, recommended by my daughter, who “trained” me, and helped me if I was having difficulties.